15 Oh-So-Cute Fashion Items You Need To Buy With Your Bestie! Best friends are more than just friends. They’re like family to us. We share memories, things and experiences together. Wouldn’t it be awesome to buy fashion items, with this lovely person, that forever remind you of your friendship? 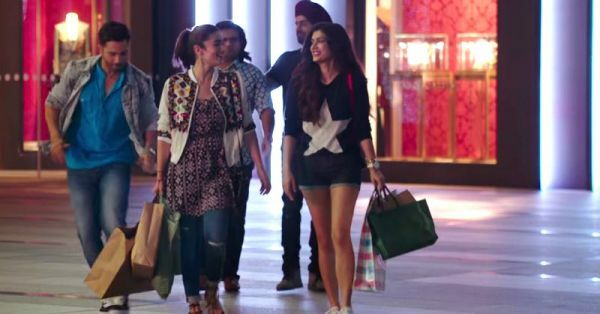 Here we have 15 super cute fashion items you should totally buy with your best friend! Because, why not? Summer is here and crop tops are slowly becoming the most comfy thing to wear. If you and your bestie share the love for crop tops and want to click the perfect bestie selfie, these crop tops should totally be on your wishlist! Price: Rs 995 each. Buy them here and here. 2. Foodies In The House! Stressed spelled backwards is desserts and pizza is umm… do we really need to justify why food is bae? Nobody other than your true best friend will understand how a slice of pizza or a cupcake can make everything okay for you. What are you waiting for? 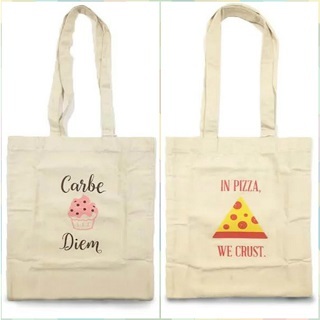 Get these foodie totes and flaunt your love for food! Price: Rs 499 each. Buy them here and here. We all love chatting with our besties over beer, right? 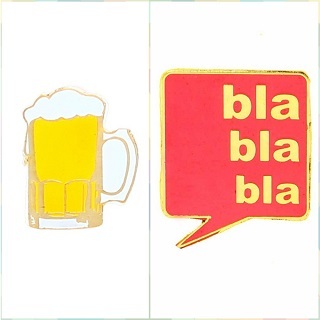 One’s a beer hogger and the other one loves to talk. We found a brooch for both! Add a quirky look to any outfit by wearing these fashion pins! Price: Rs 325 each. Buy it here and here. We’re all incomplete without our besties, aren’t we? 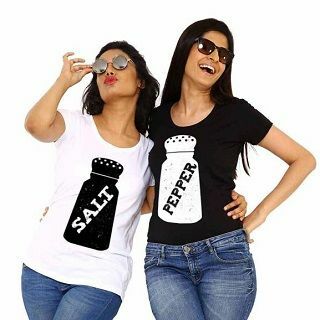 Grab this salt and pepper t-shirt combo and let your best friend know what she means to you! Wear these tees on a casual day out with friends and make a sassy statement! Price: Rs 599. Buy it here. 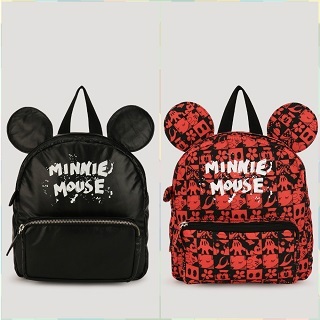 If you and your bestie happen to be Mickey Mouse fans, these two cutesy backpacks are just perfect for you both! Fit in all your college essentials in these and make a cute statement. Don’t miss the ears on the bags. How cute! Price: Rs 1,495 and Rs 1,295. Buy them here and here. Make your own charm bracelet guys! On a sleepover with your bestie, building your own charm bracelet with her can be a fun thing you do together! You can add tassels and quirky charms to this bracelet and make it something special. Price: Rs 695 onwards. Buy it here. Do you watch online tutorials on sleepovers and help each other do makeup for parties? We found the perfect place for you to store all your precious makeup! 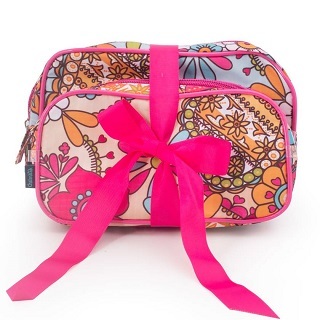 These cosmetic bags will keep all your makeup in place without spilling your foundation. Now you both can do makeup on the go! Price: Rs 795. Buy it here. 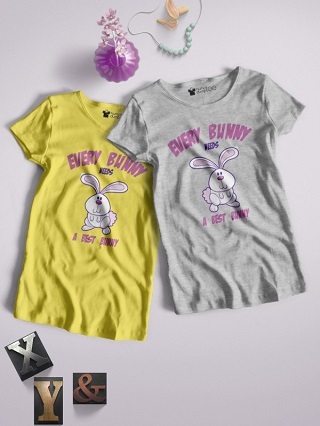 As this t-shirt rightly says, ‘every bunny needs a best bunny’! Go ahead and indulge in some PDA with your bestie by wearing these best bunny t-shirts together. You aren’t truly besties until you own a bff t-shirt! 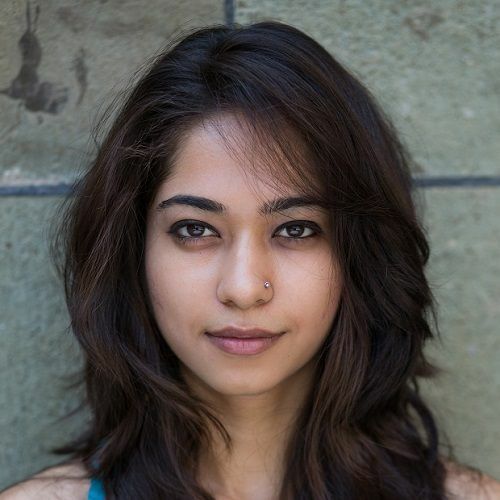 *Wink* Price: Rs 1,199. Buy it here. Ditch those big wallets and go for these mini purses instead. Every girl would love to have these quirky coin pouches in common with her bestie! They’re perfect for a short trip to the ice cream parlour! Price: Rs 675 and Rs 645. Buy them here and here. 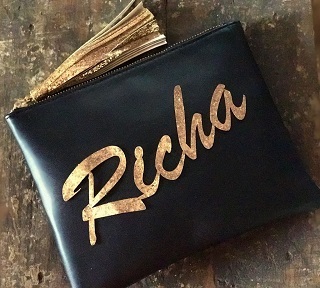 Traveling just got even more fashionable with these personalised travel pouches. Get these super chic travel pouches personalised for you both with a cute message or your names! How adorable! Price: Rs 950 each. Buy it here. Planning to go for a beach vacation with your bestie? If not, we’re giving you a fashionable enough reason to go for one! Pick up these matching swimsuits to go chilling on a beach with your best friend. Price: Rs 1,950 each. Buy it here and here. Don’t we all like to have things in common with our best friends? A cute bow set will make for the perfect accessory to add a quirky touch to your outfit. 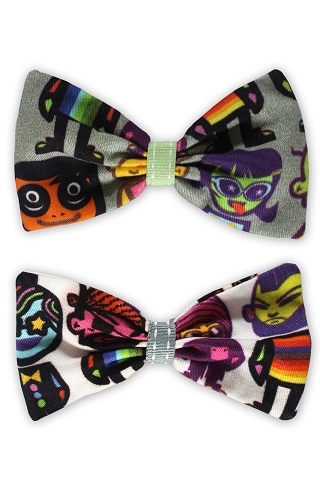 These adorable bows are the best token to keep as besties! Go get these now! Price: Rs 350. Buy it here. What’s better than personalised jewellery for the two of you? 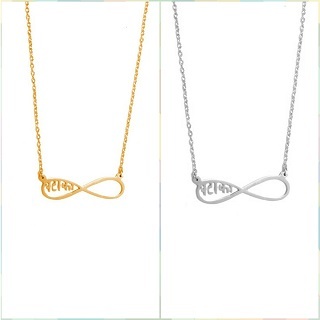 If you and your bestie are of the ‘main apni favourite hoon’ category, these pataka infinity necklaces are made for you! You can also get them personalised with text that holds a special meaning for you two. Price: Rs 1,400 each. Buy it here and here. 14. Quirky Cases For Your Shades! Your sunglasses deserve some TLC too, girls. 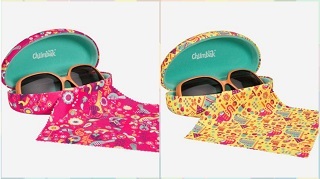 With summer officially here, you and your bestie should totally go ahead and invest in these quirky cases for sunglasses! Price: Rs 795 each. Buy it here and here. It’s no secret that women love their bags. 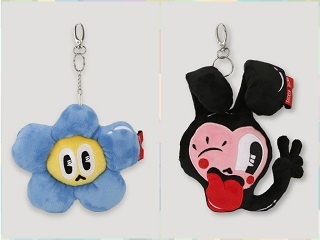 These bag charms are for besties who like to accessorise their bags as well! Stay fashion forward and make a funky statement with these uber cute charms! Price: Rs 360 each. Buy it here and here. Aren’t they all SO cute?